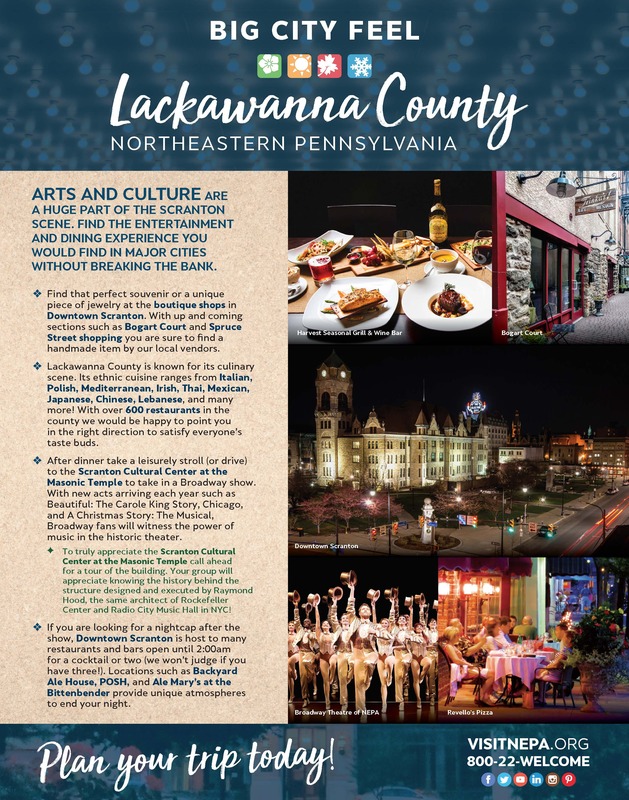 If you are a history buff then Lackawanna County is a great place for you to visit! 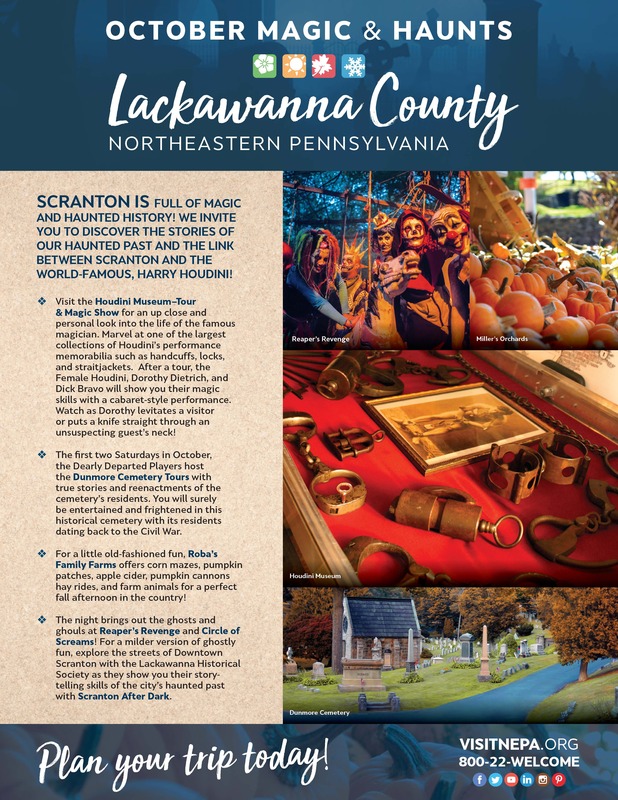 The heart of the industrial revolution was Scranton, PA beginning with the Iron Furnaces that smelted the iron for the rails that created the U.S. western expansion. Anthracite Coal was king in the area and favored because it burned longer and cleaner than bituminous coal found in other regions of the country. 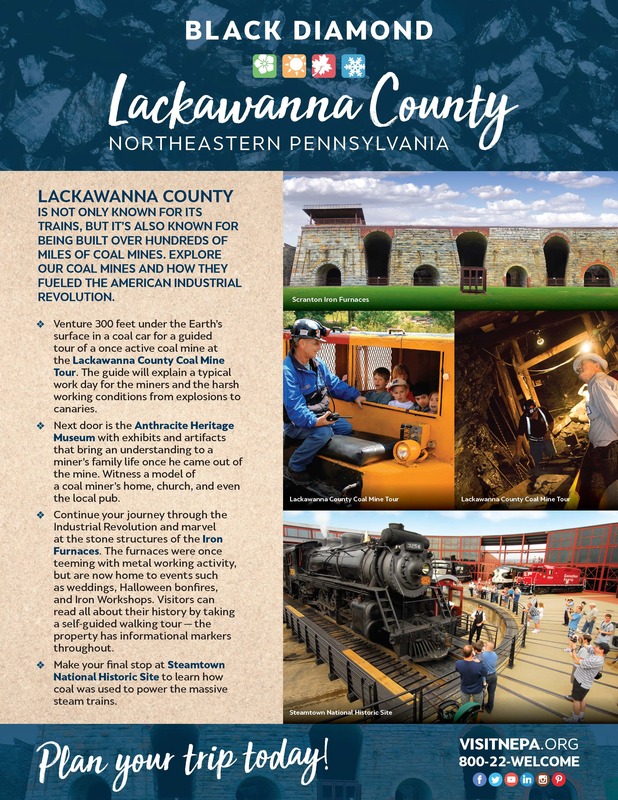 This rich history may be experienced firsthand on the Lackawanna Coal Mine Tour and at the PA Anthracite Heritage Museum. 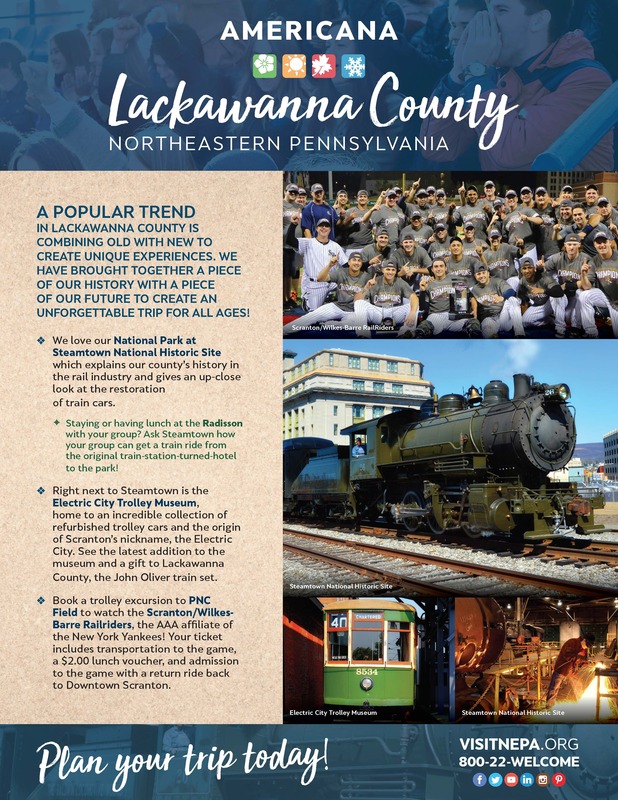 Visit Steamtown National Historic Site, the only railroad-specific site within the nation’s park system that provides a vivid rail history for our nation. 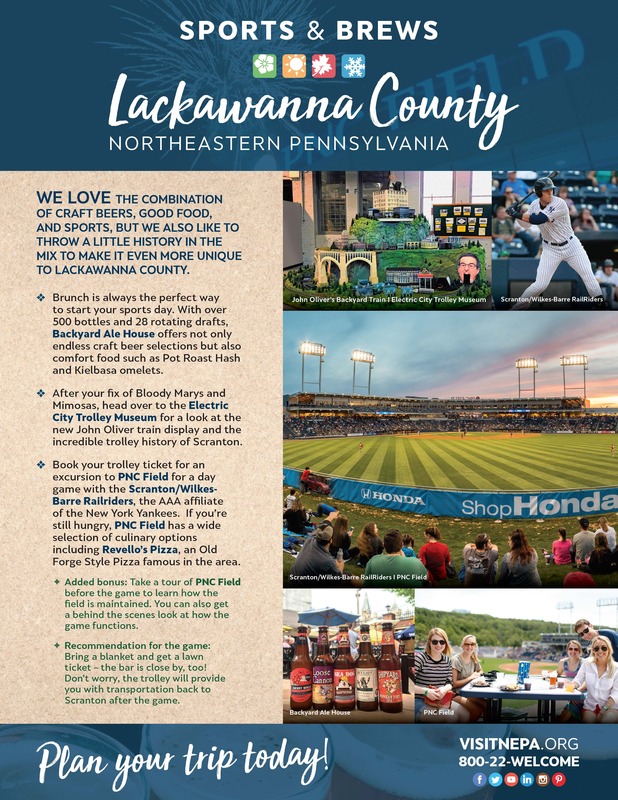 The Electric City Trolley Museum is located in the same complex and focuses on the first electric trolley line in the country, right in Scranton. The trolleys and the electric street lights are why Scranton is known as “The Electric City”. 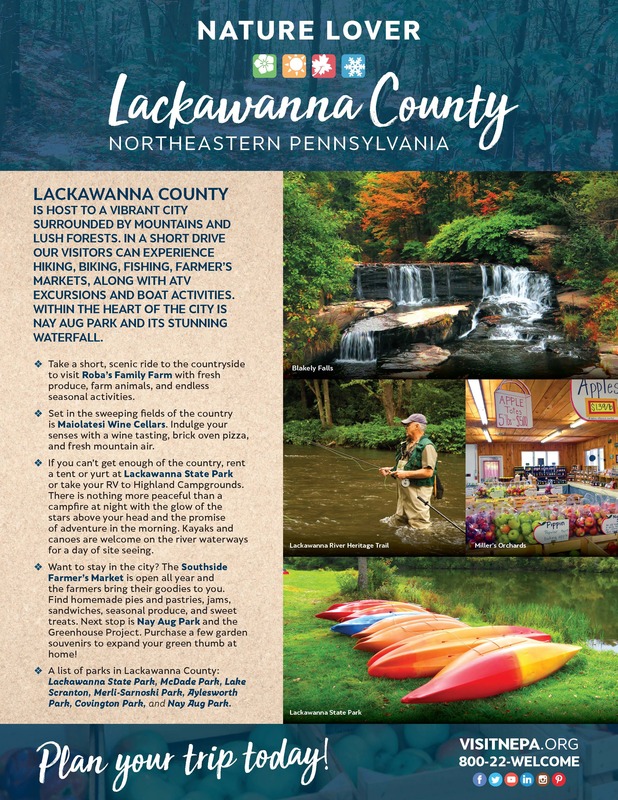 Excursions from both are seasonally available. The Everhart Museum, conceived and endowed by local physician and taxidermist Dr. Isaiah Everhart is Northeast Pennsylvania’s only art and nature museum. 19th Century paintings, American Folk Art, Egyptian Funerary art, African art and a Dorflinger Glass pieces make up the permanent collection but they always have a creative rotating exhibit. The Houdini Museum in Scranton is the only museum solely dedicated to the Escape Artist, Harry Houdini. Enjoy a live show that recreates some of the amazing acts Houdini performed and walk through a large collection of items associated with this master.